Diversity in Hollywood: Progress or Box-Ticking? It is no secret that Hollywood suffers from an evident lack of diversity; a 2017 study by USC Annenberg showed that in the top films of that year, only around 30% of speaking roles were occupied by women, and similarly 71% of speaking roles were white. Horrifyingly, less than 1% were LGBTQ. It goes without saying that filmmakers need to be making active efforts to combat this stark issue, and although in recent years many creators have consciously fought for more diversity in their films, not all have managed to do so with success. Alongside the increase in representative content, which is undeniably a positive step, several films have been accused of "pandering" or "box ticking", simply to appeal to popular demand. Of course, many of these angry voices are simply internet trolls who somehow take personal offence to any hint of inclusivity; however, the issue which actually deserves attention is lazy, clumsy writing which makes said inclusivity feel like a forced exercise in box-ticking instead of a natural process. So is there difference between box-tick inclusion and real representation? Is it not enough to simply add in a black character then call it a day? Well... sadly no. It boils down to the simple fact that it isn't only a case of just including underrepresented characters, but also the way in which they are portrayed. When filmmakers add in a token "diverse" character as a afterthought, in an attempt to compensate for their whitewashed, male-driven casts, the artificiality of the situation is painfully obvious. But the question is: if the majority of the world's population does not actually belong to this category of "straight white men" (who dominate our screens), why is real diversity so apparently difficult to achieve? And what makes inclusivity so often feel forced and unnatural? Box-tick-representation is the shockingly common approach to diversity which many filmmakers take; as the name suggests, it involves the lazy addition of what they consider to be diversity without giving it any real thought, simply to cross it off of their to-do list. A prime example of this type of fake inclusivity is J.K. Rowling's infamous gay Dumbledore. Nearly twenty years after the release of her first novel, the author decided to announce that the character was gay, although this was never apparent in any of the books or films. 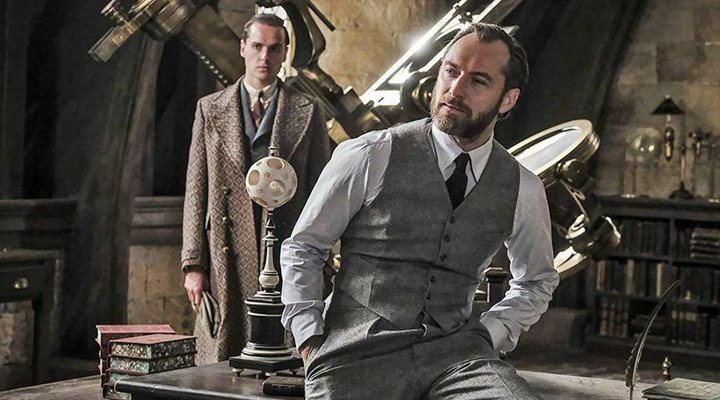 Then with the release of the 'Fantastic Beasts' spin-off saga, featuring a young Dumbledore, Rowling had a real opportunity to explore her character's sexuality, but although it was a hot topic on social media and addressed frequently in marketing press conferences, stirring up excited conversation among LGBTQ fans of 'Harry Potter', when 'The Crimes of Grindelwald' was released, Dumbledore's romantic life was entirely glossed over. While maybe Rowling can sleep at night, patting herself on the back for her self-professed open-mindedness, all she did was exploit the LGBTQ community's desire for representation with a false promise of diversity. Unfortunately it is a common trend with LGBTQ characters to see this box-ticking exercise in the marketing process, coupled with the erasure of sexual identity in the actual films. Disney's 2017 remake of 'Beauty and the Beast' generated a lot of publicity due to the anticipated inclusion of a gay Le Fou; however, this apparent LGBTQ representation boiled down to one underplayed, offhand remark in the entire 2 hour feature. Similarly, in Marvel's 'Thor: Ragnarok' Tessa Thompson's character, Valkyrie, was theoretically bisexual. The diversity of the character in the comic book was (of course) rigorously discussed, creating big publicity during marketing, but nothing could be less apparent in the film itself. The list of examples goes on. It seems that if enough conversation is generated about a film's inclusivity (however false it may be), creators take this as a tick in the box of diversity, while taking two steps back on the path towards real representation. An obvious issue is the lack of representation behind the camera; we cannot expect to hear LGBTQ voices on screen, if there are no such voices in the creative process. The conversation surrounding the need for better representation has skyrocketed in recent years, and although some areas have been more fruitful than others, many issues remain. With regards to feminism, while more and more stories on screen have indeed been exploring strong, complex female characters, the number of women working behind the screens writing the stories has not increased at a similar rate. This means that we are often left with trite, male-written female characters who simply play into uncomfortable or unimaginative stereotypes. Many studios have hopped on the "Girl Power" train as if female representation were a simply a fashionable passing trend. One recent example of this clichéd feminist fodder is 'Captain Marvel'. After years of overlooking their existing female superheroes (Black Widow and Scarlet Witch have never been given the attention they deserve), Marvel suddenly decided to create their first ever film starring a woman hero. The entire marketing scheme was based around the idea of female empowerment and inclusivity, and the release date was even scheduled for International Women's Day: everything about the film was set up as a beacon of feminism. There was so much potential. However, the greater the expectations, the greater the disappointment at its underwhelming failure. The entire film felt like one big box-ticking exercise: it was as if the writers had sat down and made a checklist of "everything feminism". 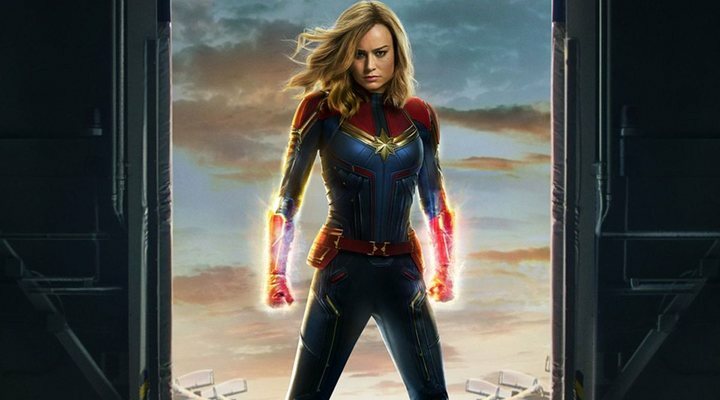 Despite Anna Boden's involvement in the screenplay, Brie Larson's character was utterly two dimensional: she was given no interests, no real backstory, no personal motivation behind any of her actions, and almost no character development. She is a hero without flaws and without defeats (strong independent woman character: tick). If the clichéd protagonist were not enough to expose the laziness in the writing, contrived scenes of unimaginatively all-in-one-packaged Girl Power were also forced down the audiences' throats. In one such scene Carol Danvers is sat reading a map (subvert stereotypes about women: tick) when a man on a motorbike tells her to smile (stereotypical sexist man: tick). Like the strong, independent woman she is, Danvers then steals the motorbike and drives away (sexism is bad: tick). With no relevance to the plot, the scene placed in any other film would have the same effect. The film simply exploits clichés in an unbelievably lazy box-ticking to attempt to become an all-in-one Feminist FilmTM and give Marvel a gold star for inclusivity. Women do not have to be flawless fighting machines in order to be powerful characters. When diversity is treated as an exercise it defeats the point of diversity. People just want to see real characters like themselves included in popular stories and feel represented. So What Counts as Good Representation? When studios invest time and effort into developing interesting, complex, and layered characters, it pays off. Despite their blind ignorance when creating 'Captain Marvel', the superhero franchise successfully hit the mark when creating 'Black Panther'. The film (notably with an almost all-black creative team) was a triumph in positive representation, fighting against stereotypes of Africa. We were introduced an array of well-developed, diverse characters, each with their own personality and backstory instead of being fed clichés. 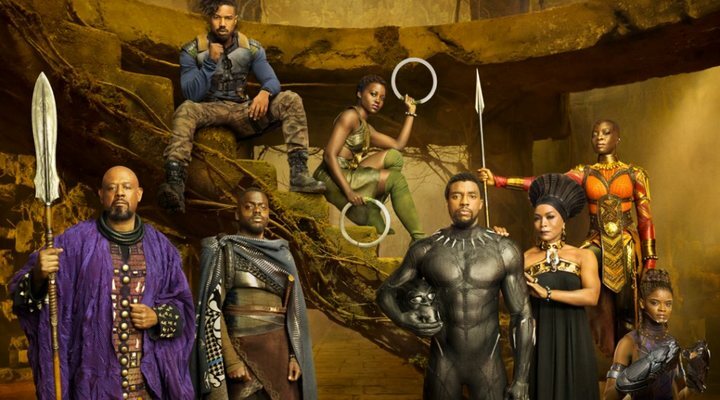 This Hollywood blockbuster dove deep into issues of racial discrimination in the US, at the same time as celebrating aspects of African culture including language (Swahili and Xhosa), ceremonial practices, and bold fashion inspired by a variety of countries and tribes. The film rejects the lazy one-size-fits-all approach to representation that is shown in 'Captain Marvel', instead treating the theme of black empowerment with the detailed complexity it deserves. As we have seen, when it comes to creating a "strong female character", writers often struggle to anything vaguely resembling a real woman. Often femininity is treated as incompatible with strength and female characters have to reject anything traditionally considered girly before they achieve independence (think Katniss Everdeen in 'Hunger Games', or Teresa in 'Maze Runner'). However, in films such as 'Wonder Woman' or 'Legally Blonde', femininity is shown to be a part of the protagonists' strength. Not only do these films give the characters an interesting arc of personal development, but they are allowed flaws, layers and genuine interests (just like normal people). Diana Prince is powerful, hot-headed, and stubborn, but also compassionate, attractive and feminine. It is Elle Woods' love for fashion and beauty which leads her to solving her first ever murder case. In both cases femininity and strength are intertwined. Unlike 'Captain Marvel', these films don't buy into stereotypes to get a point across. Unlike J.K. Rowling's false diversity, the strength of these women doesn't only exist in a world outside of the film. To hit the mark, these films simply wrote realistic, layered characters into their stories: easy. Representation clearly does not have to be forced or treated as a way to appease the masses. Furthermore, although examples like 'Black Panther' and 'Legally Blonde' are incredible for exploring themes of empowerment, at the end of the day films don't even have to focus on such themes in order to achieve positive representation: diverse characters are also just normal people. 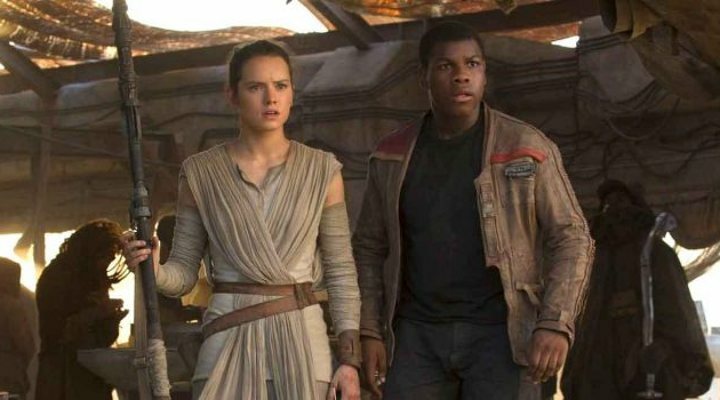 One franchise which recently expanded its inclusivity with effortless success is the new 'Star Wars' trilogy: in 'Force Awakens' the Jedi knight protagonist, Rey, just so happens to be a woman, and another of the key characters, Finn, just so happens to be black. Their gender and racial identities bare no relevance to the film, and nor should they have to; diverse characters can just exist and form part of the story because (shock, horror) they are normal people too. Representation and diversity comes in various shapes and forms, that is the very essence of its nature. In an ideal world filmmakers would take time and effort to write good stories, and inclusivity would simply come naturally. However, as this is evidently not the case, it is important for creators to make active efforts to increase diversity, both in the in front of and behind the camera. As well as the amazing films mentioned, which clearly show how seamless and simple representation can be, there are hundred more such examples: 'Mad Max: Fury Road', 'Annihilation', 'The Favourite', 'Get Out', only to name a few. Box-tick style representation is simply patronising and ineffective. In essence, it comes down to representation in the creative process of filmmaking. If the majority of writers and directors in Hollywood belong to the same demographic, how can they be expected to tell authentically diverse stories? We cannot expect on-screen representation to improve if we do not make space for diversity when writing these films. Audiences have grown tired of stereotypes and clichés: we want to see real, varied, complex characters. And, as shown by the mind-blowing success of the mentioned films, when studios make an effort, it benefits everyone.